GME GX700 VHF MARINE RADIO | Peninsula Marine Ltd. 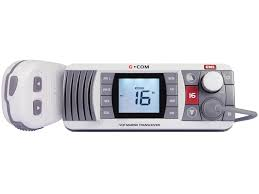 The GME GX700 VHF Marine Radio is a compact communication and safety device with innovative installation options. Waterproof to IPX7*, the GX700 is the ideal communication tool for your boating lifestyle whether you’re sailing inland waters, or heading offshore.